Yes, I think I have made it obvious by now how much I love the 70s- the music and especially the fashion. When I first saw these shoes in Forrest Gump, I was about 7 or 8 years old and something about them got me hooked. Yes, I loved it when Jenny gave them to Forrest and the love that they had, but at that age, the actual shoe was really what I was paying attention to. It took me many years, until they made a comeback recently, to get my hands on them. Just like me, so many people have loved them too and turned these originally running shoes into iconic streetstyle must haves. The Nike Cortez are a perfect mix of vintage and modernity, of old school but still very much something we would easily wear today. Below are some shots of my favorite pair in the iconic red, white and blue and other of my favorite color combinations are below as well! Love these as much as I do? Let me know how you like to style them below! Creo que lo he hecho bastante obvio el amor que tengo por todo lo que se relacione a los 70s- desde la música a la moda. Cuando vi los zapatos Nike Cortez por primera vez fué cuando tenia unos 7-8 años y en la pelicula "Forrest Gump". Si, me gustaba el amor de Forrest por Jenny y la parte cuando ella le entrega los zapatos. Sin embargo a esa edad poco me importaba el amor, pero siempre me ha importado la moda. Vi los zapatos y por siempre quedé flechada. Cuando vi que habían vuelto, supe que los tenia que tener. En los 70s eran zapatos de correr pero porque tanta gente amó el estilo vintage pero también muy moderno de ellos, es que ahora son extremadamente populares para los amantes de la moda y lo incorporan tanto en sus looks de streetstyle. Abajo les dejo mis combinaciones favoritas de este zapato y también algunas fotos de los míos en la combinación icónica de rojo, blanco y azul! 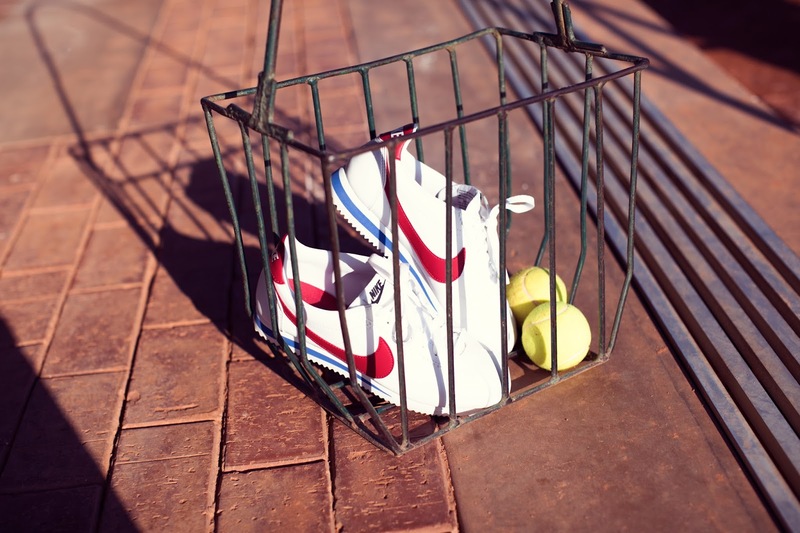 1 comment on "NIKE CORTEZ: THE 1972 MASTERPIECE"